flip a coin, if tails, it does 20 more damage. 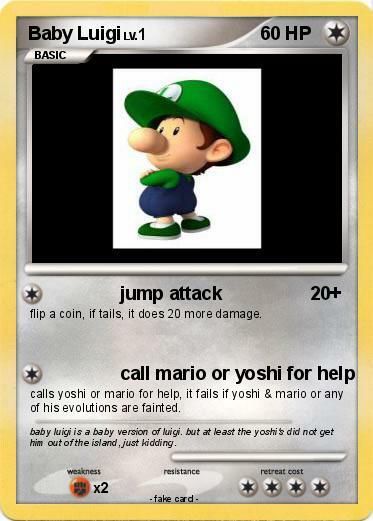 calls yoshi or mario for help, it fails if yoshi & mario or any of his evolutions are fainted. Comments : baby luigi is a baby version of luigi. but at least the yoshi's did not get him out of the island, just kidding.